Updated: New videos will be added whenever they are released. Thanks to a female friend who does share a liking for good music, I have come to discover Sigur Rós during the time when I was fed up of Enya and wanted to listen for some other artists of the same genre. She suggested I would take some time and listen to the said band's music and Boom! I was hooked immediately. I procured a copy of their albums and that was bliss for some time, until their latest album, Valtari, was released. This band from Iceland just saved my failing life with their newest music -- all symphonic and weird. Now as a collective artistic effort, the said band put up The Valtari Mystery Film Experiment. Two to three videos are going to be released every month starting May, coinciding with the album's release, and will conclude on December. Moving Artwork. Video by Inga Birgisdóttir. Released May 25. Film by Ragnar Kjartansson. Released June 6. Film by Inga Birgisdóttir. Released June 18. Film by Alma Har'el. Released July 2. Film by Arni & Kinski. Released July 16. Film by Ramin Bahrani. Released July 30. Film by Ryan McGinley. 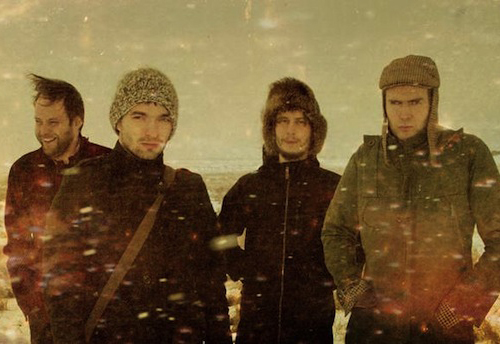 This is what the band's official website has to say about the project: "Sigur rós have given a dozen film makers the same modest budget and asked them to create whatever comes into their head when they listen to songs from the band's new album Valtari. The idea is to bypass the usual artistic approval process and allow people utmost creative freedom. Among the filmmakers are Ramin bBahrani, Alma Har'el and John Cameron Mitchell. "We never meant our music to come with a pre-programmed emotional response. We don’t want to tell anyone how to feel and what to take from it. With the films, we have literally no idea what the directors are going to come back with. None of them know what the others are doing, so hopefully it could be interesting."